As we reflect on the past year, it seems as if 2016 has gone by in the blink of an eye. During 2016, a lot has taken place in the healthcare industry, and more specifically, telemedicine adoption. There seems to be an increasing focus on patient satisfaction and convenience. Providers are now demanding telemedicine solutions that do much more than simply enable consultations, but rather truly enhance efficiency in clinics as well as satisfaction with staff. Our main focus of the Chiron Health blog is to provide educational resources for providers and patients. Here are the top 5 blog posts that garnered the most traffic and views over the past year. 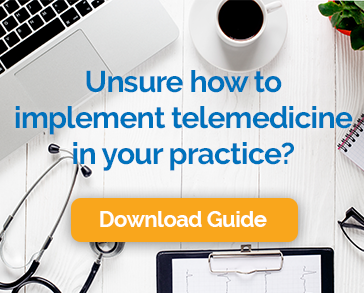 In this post, we found 11 Infographics from various sources that focus on aspects such as the growing trend of telemedicine to the quality and outcomes of a telemedicine solution. With the term “telemedicine” being so broad, it’s no wonder that simply saying that we are a telemedicine company isn’t enough to give people a clear picture of what we do. We thought it would be useful to break down four types of companies that operate in the telemedicine space. Headlines of articles speak volumes about an industry and how it is performing in the market. When it comes to healthcare, the amount of investment in telemedicine platforms leaves little room for doubt that video visits and remote patient monitoring solutions are the future. The integration of a telemedicine solution with EHR companies is key. Each is important and useful on its own, but together they produce a powerhouse of scheduling and clinical efficiency. We can’t wait to see what 2017 brings, especially in the healthcare industry.